LVT - Luxury Vinyl Tiles. Briefly, these are stiff tiles in various sizes and shapes. When they imitate wood, they come in the size and shape of boards and panels. When imitating stoneware or stone, they are often rectangular or square. 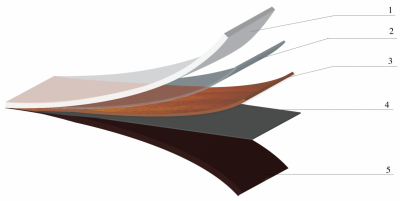 The structure is reminiscent of heterogeneous (layered) PVC floor coverings but with significant differences. Why LVT and not wood? Wood has a limited number of patterns and colors. It offers only what comes in nature. Wood is demanding in terms of cleaning. Water is a big threat to it. Wood is susceptible to scratches, dents and damage. Wood must be secured, varnished, oiled and renewed from time to time.